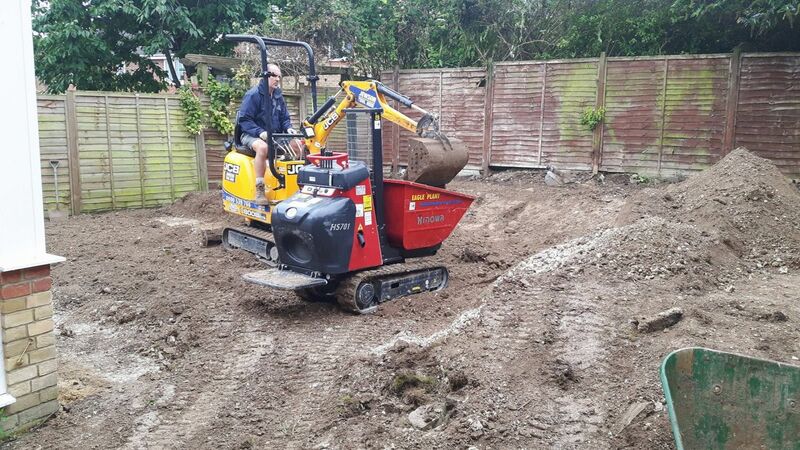 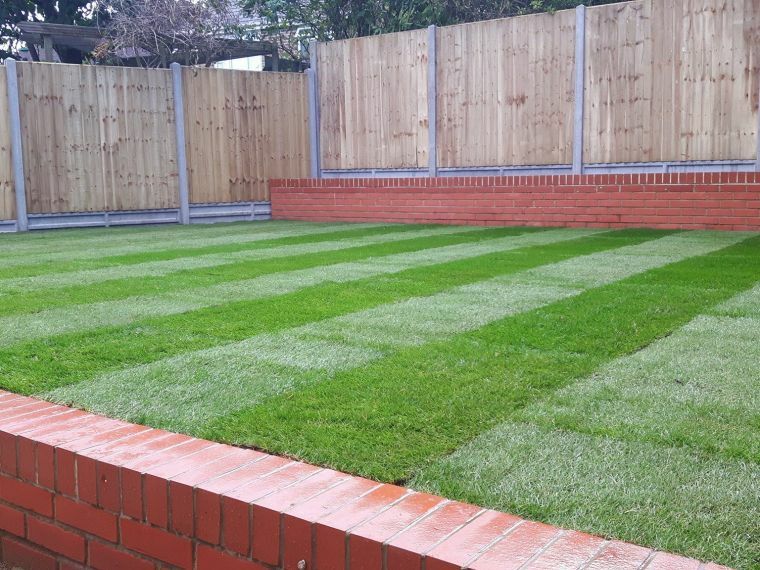 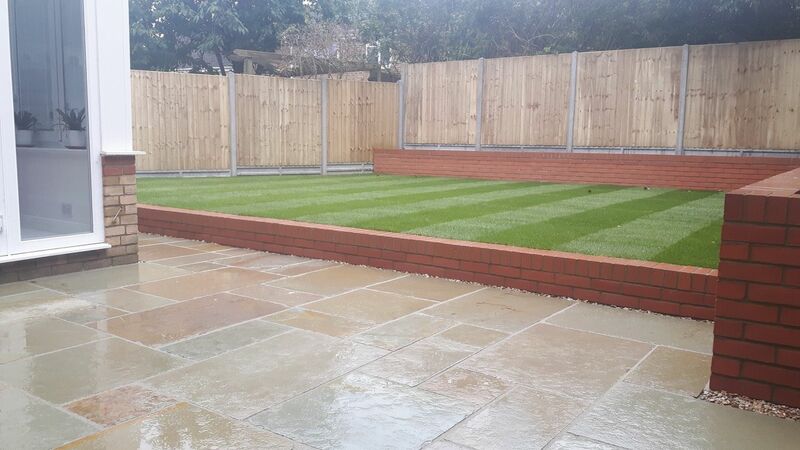 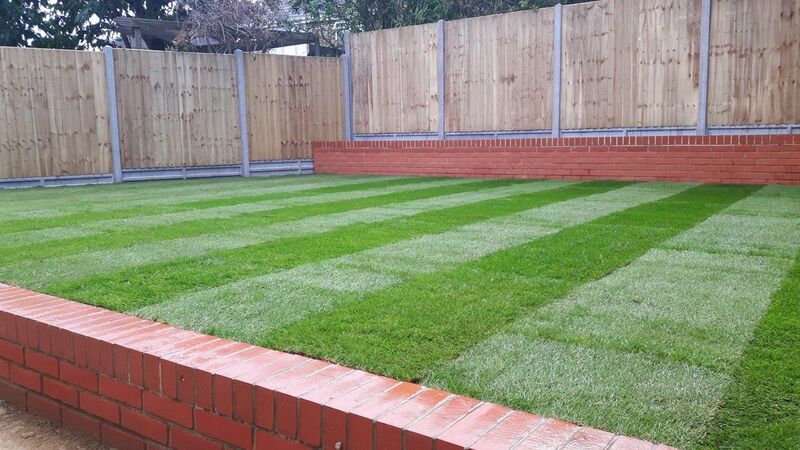 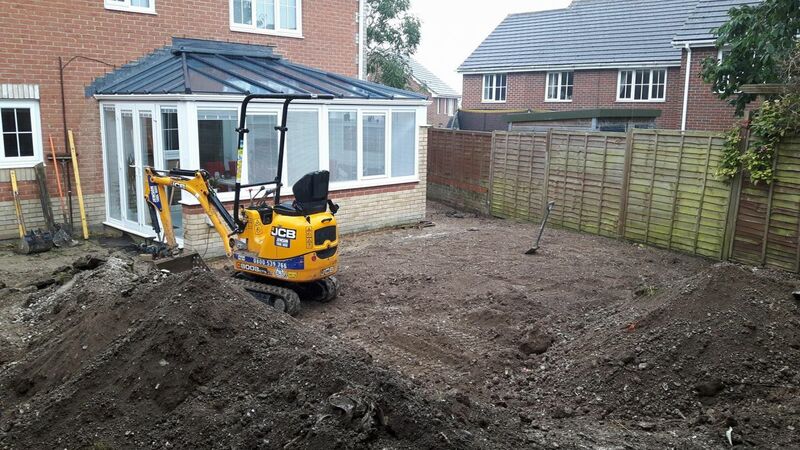 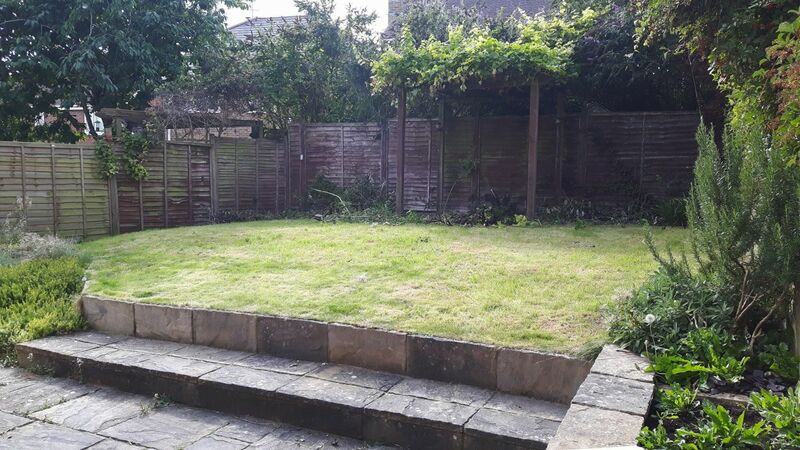 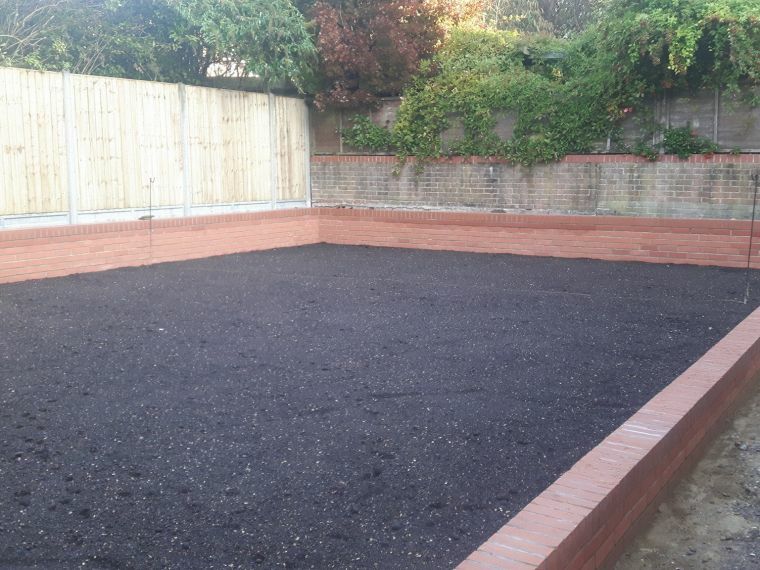 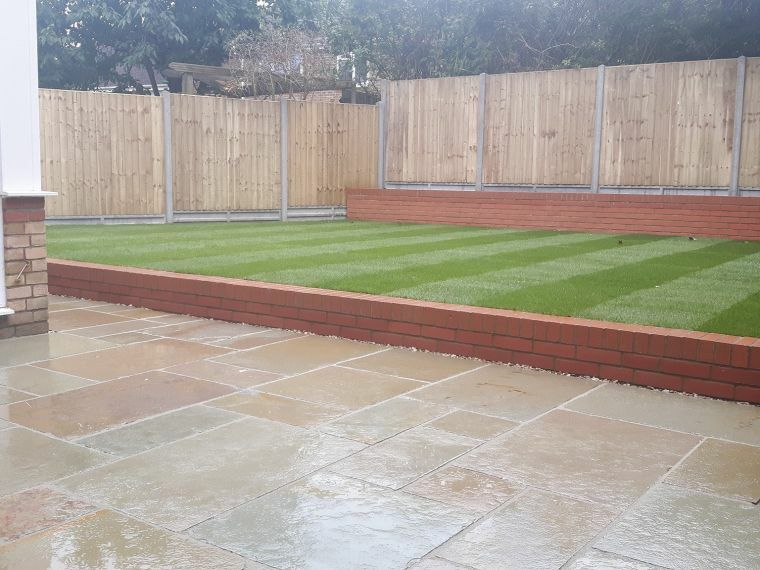 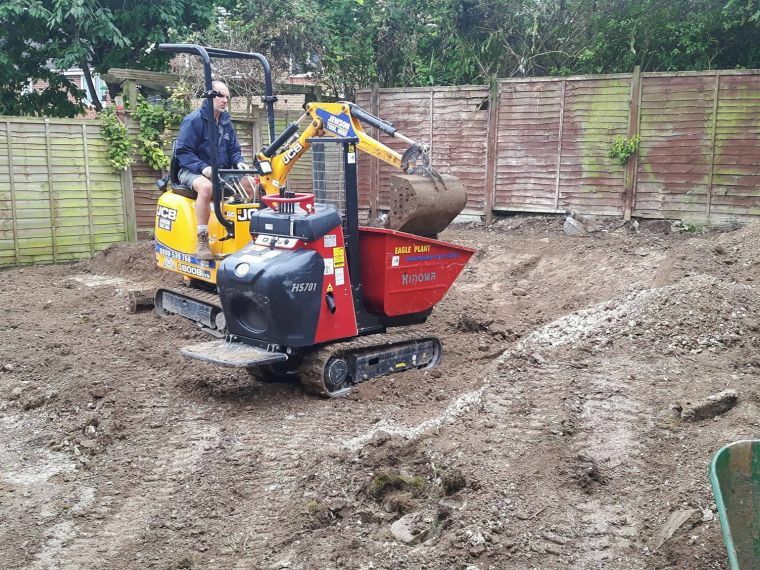 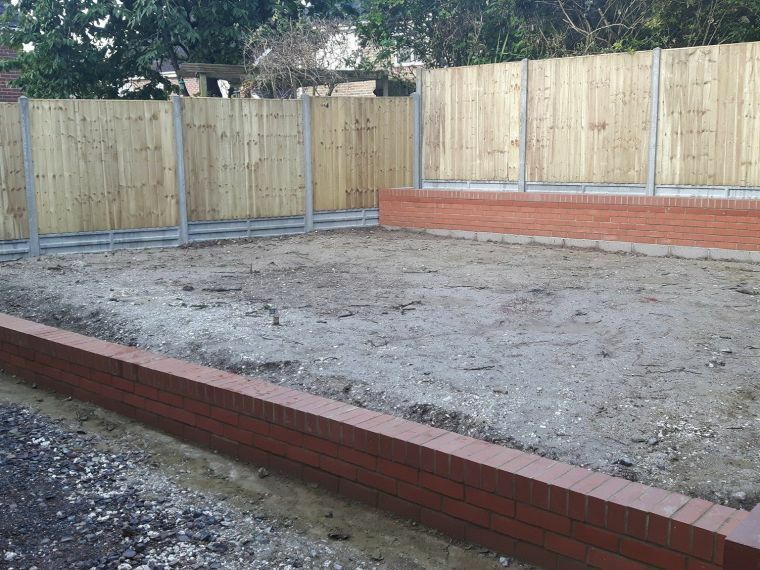 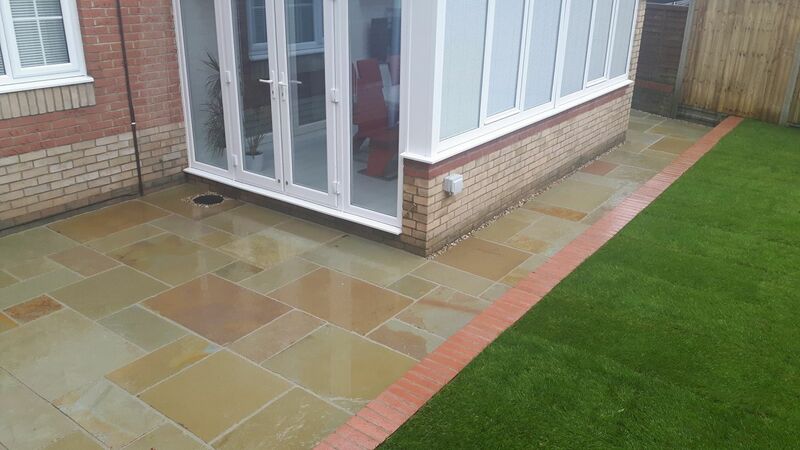 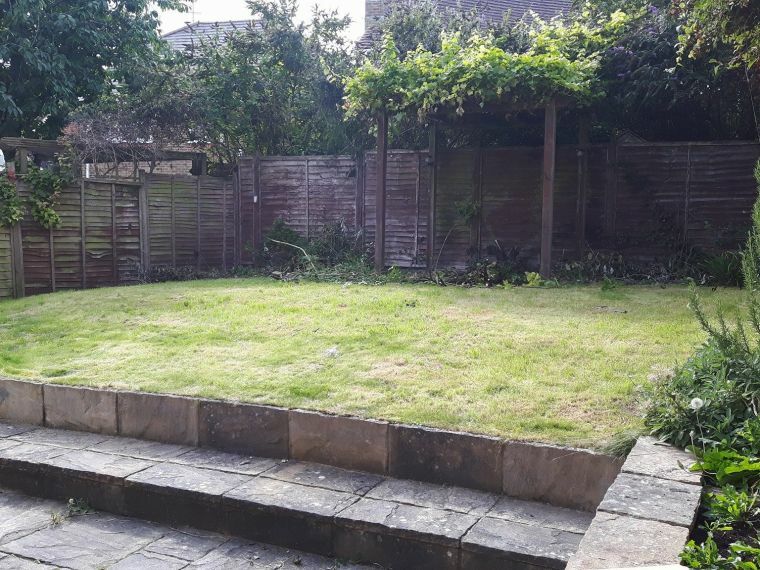 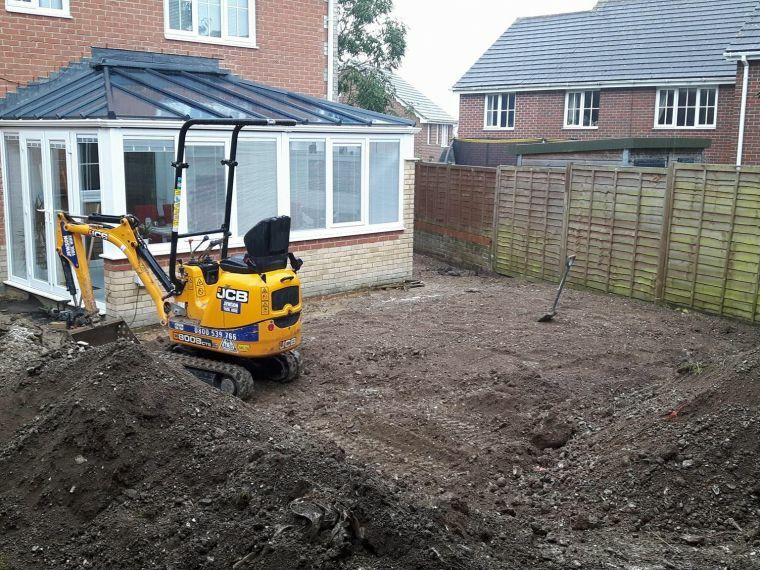 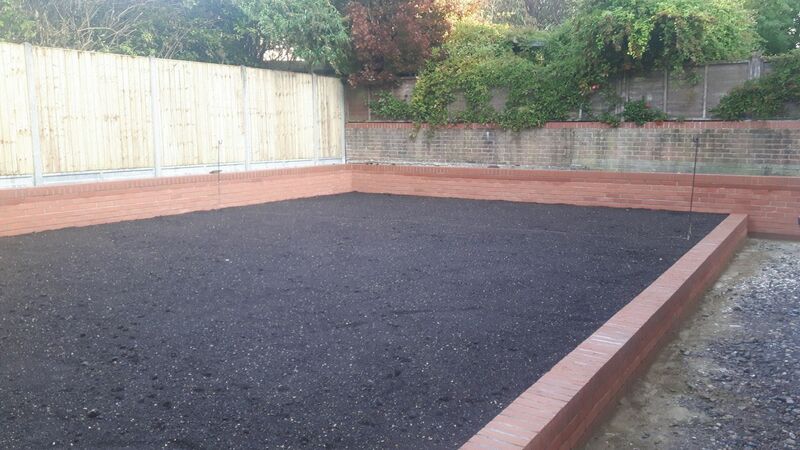 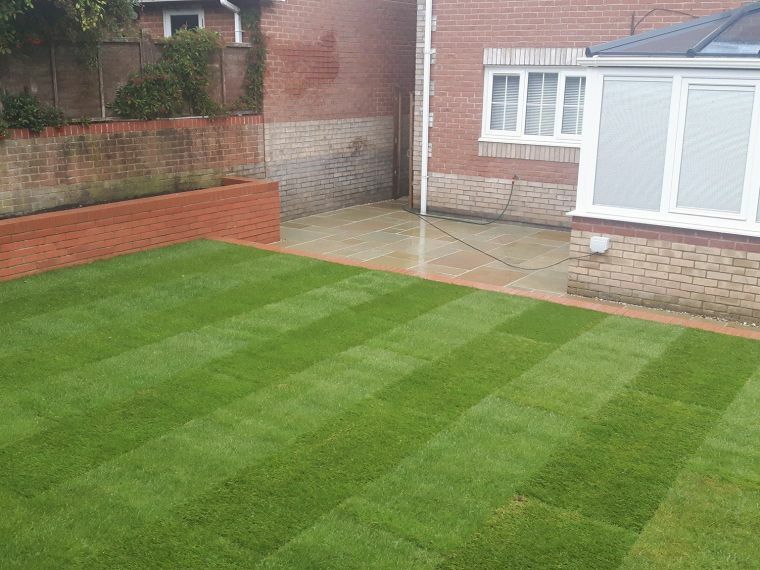 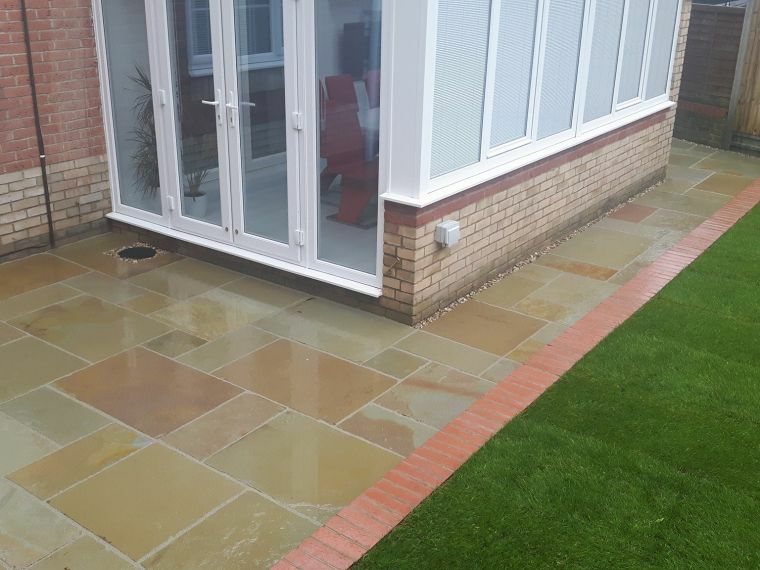 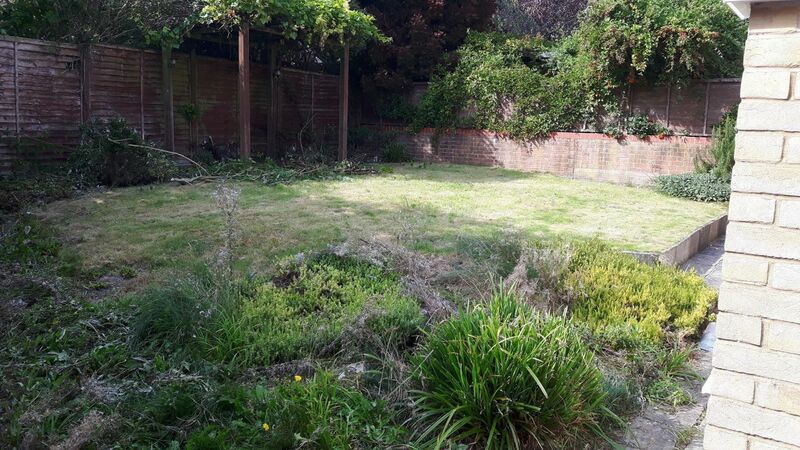 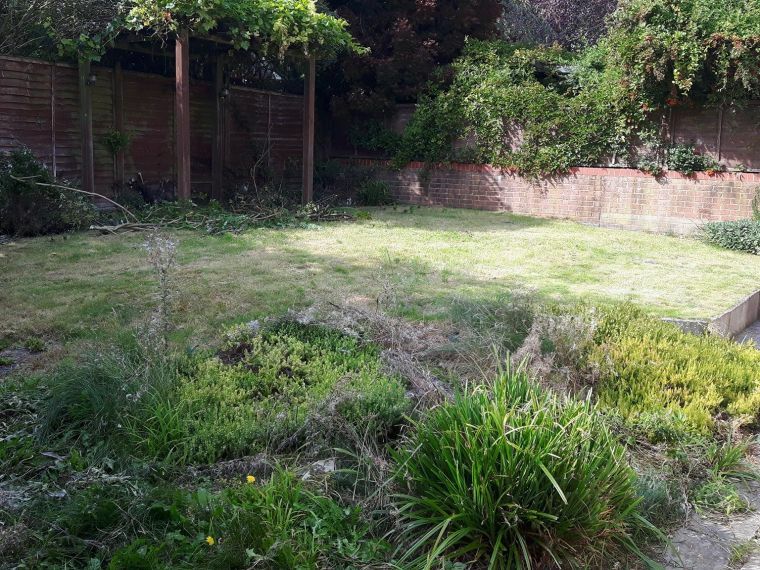 Complete garden transformation in Salisbury, Wiltshire. 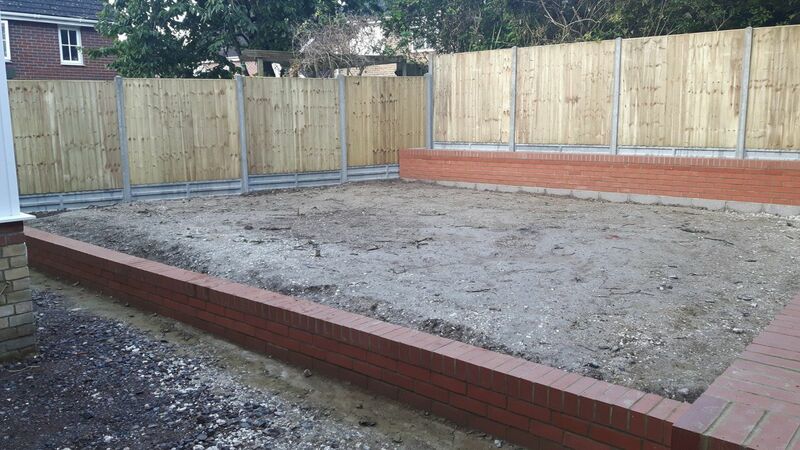 Garden dug down retaining walls and fences built surrounding. 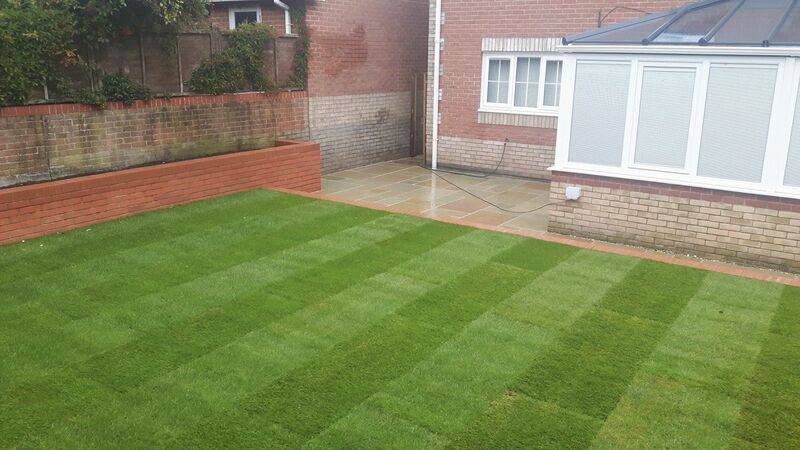 Turfed and a honey limestone patio.